My in-laws were visiting for our “baby celebration”, a Jack and Jill party thrown by two of my girl friends which included no games, no opening of gifts, no table setting invaded with Pepto Bismol pink. Rather, a group of our friends and family mingling, eating and drinking in the backyard of a West Village brownstone. My ideal version of a baby shower. She eats sardines for lunch all the time but simply with just some raw vegetables and on a piece of toast. It got me thinking, especially because I loved them too. When I make them fresh, I grill them with salt, pepper and lemon, and let them be the star of the show. When in a can drenched in oil, I enjoy transforming these creatures into a salad full of bold flavors and color. 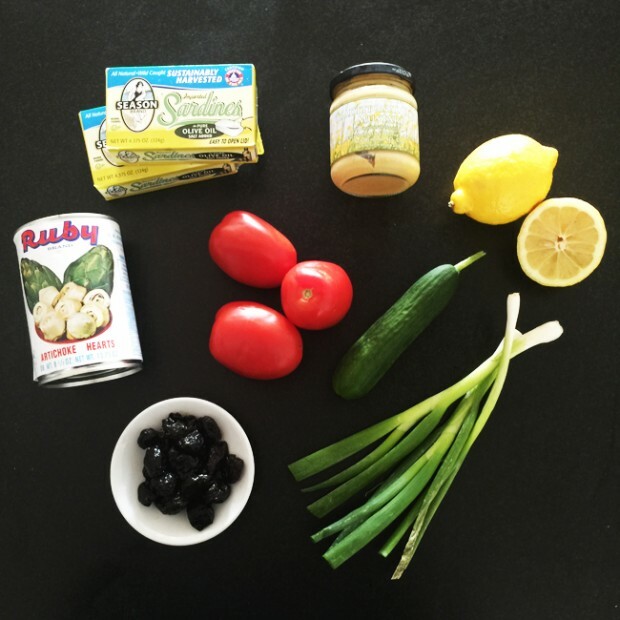 Drain sardines from olive oil, reserving a teaspoon on the side. Shred sardines with a fork until slightly mashed and broken up. Combine all other ingredients with sardines and add additional olive oil from tin if mixture is dry. 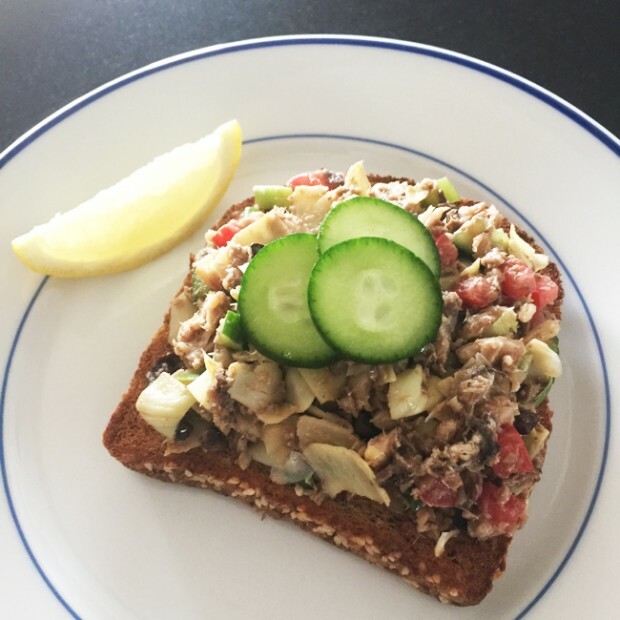 Toast bread; top with sardine mixture and cucumber slices. Enjoy!